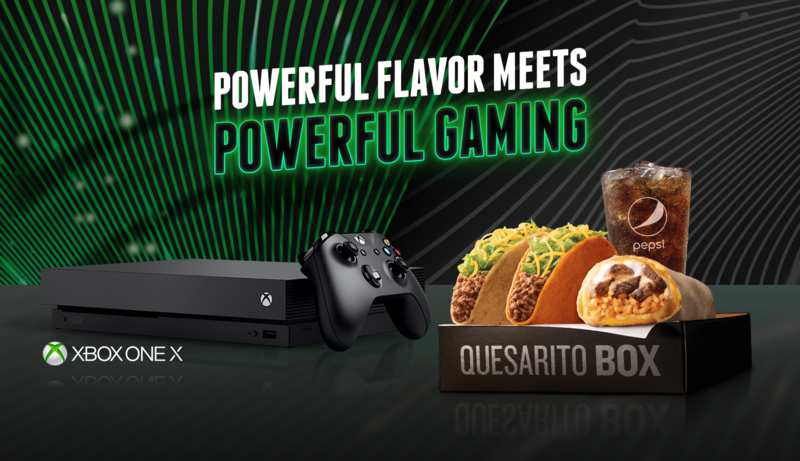 Xbox and Taco Bell gave fans nationwide the first chance to win the newest member of the Xbox One family, the Xbox One X, when they picked up the new Steak Quesarito $5 box. 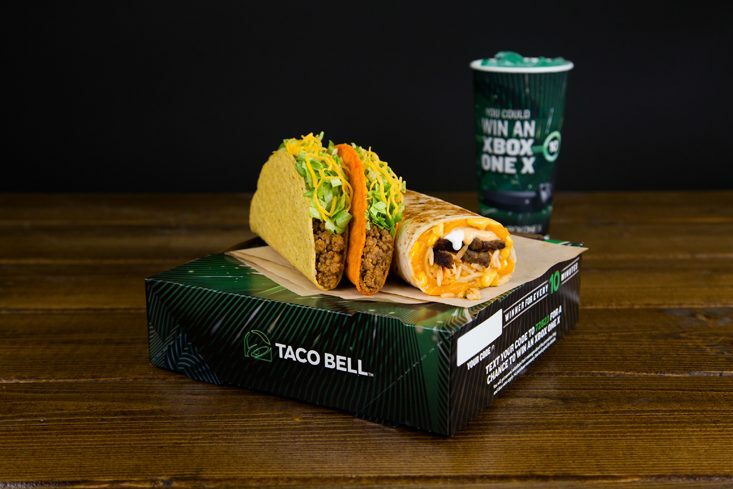 Each Taco Bell $5 Box included a unique code for consumers to text in for a chance to win the new Xbox One X. Boxes were available during the promotion from August 31 to October 4 at participating Taco Bell locations. Throughout the duration of the promotion, a potential winner was notified on an average of every 10 minutes. 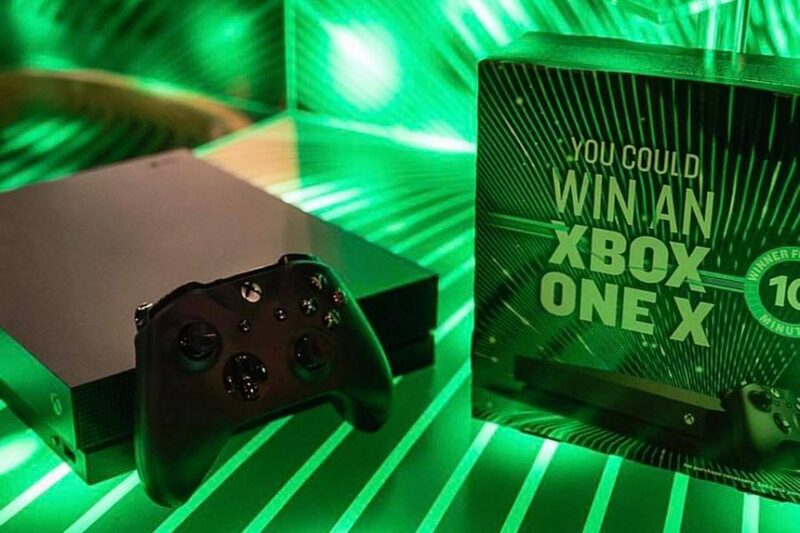 Winners were the first to get their hands on the Xbox One X, as well as win Forza Motorsport 7 and a three-month Xbox Game Pass subscription with their console. 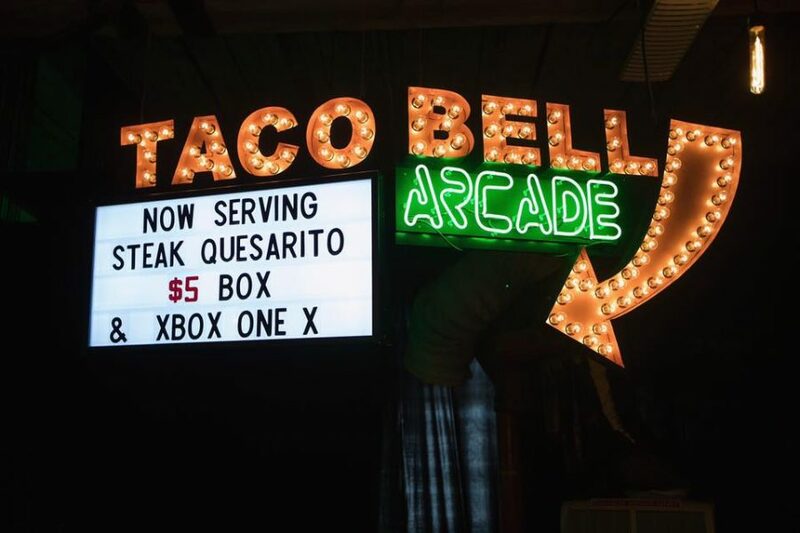 Alongside our promotion a Taco Bell Arcade was open during PAX West. You needed to make a reservation in order to snag a spot, though. 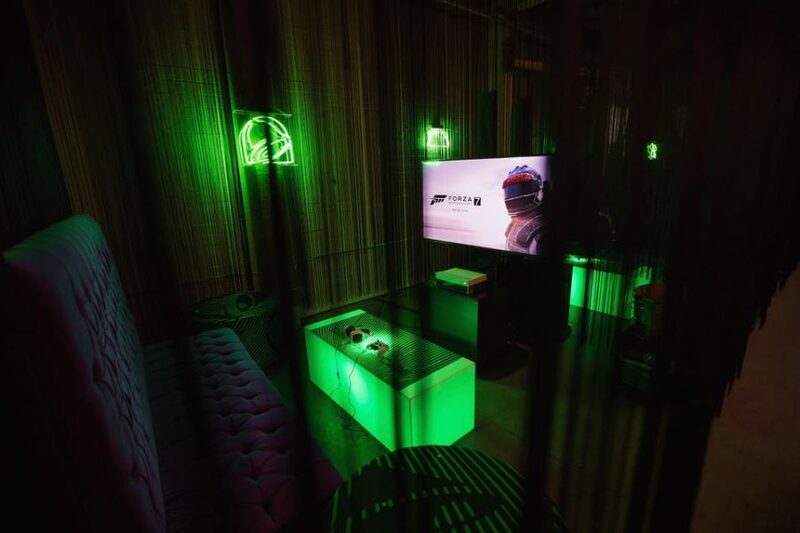 Lucky visitors had a chance to play the Xbox One X for the very first time, an opportunity to win a Xbox One X, and indulge in a Steak Quesarito $5 Box while sipping on signature gaming cocktails. 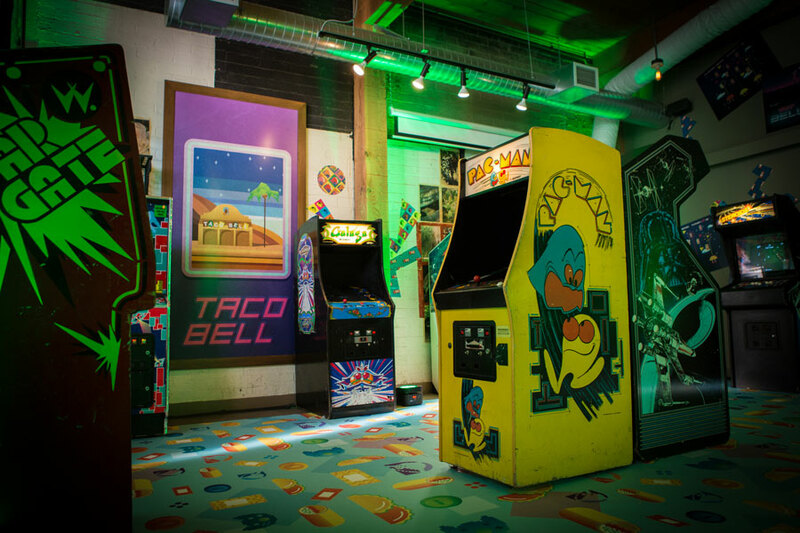 The classic arcade room — featuring Pac-Man, Space Invaders, Star Gate, and more — had a carpet peppered with cartoon tacos, burritos, and sauces. 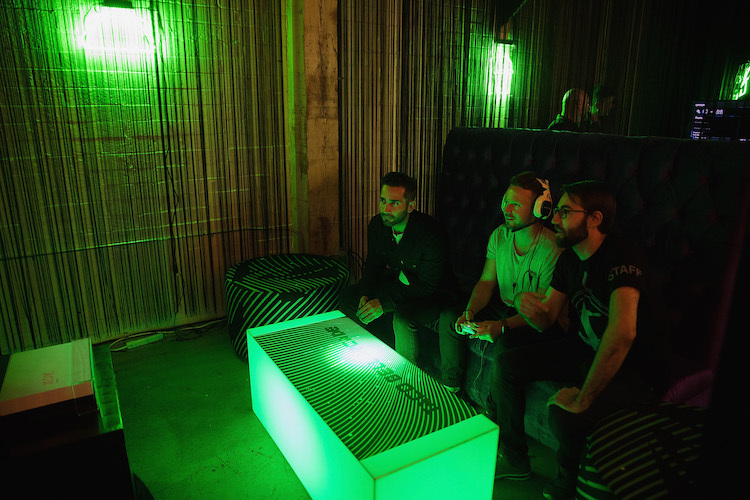 The Xbox One X gaming area was more futuristic, illuminated by sharp fluorescent alien-green lights. 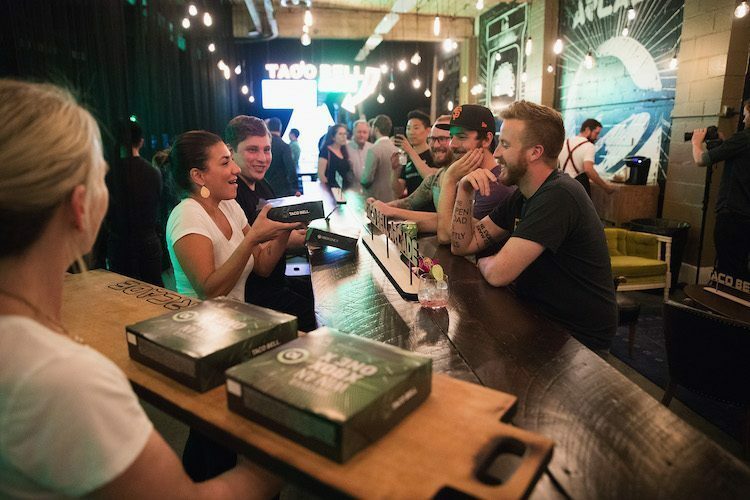 An eating space featured a communal wooden table and Victorian-era furniture where you could rest and refuel on tacos and liquid refreshment.